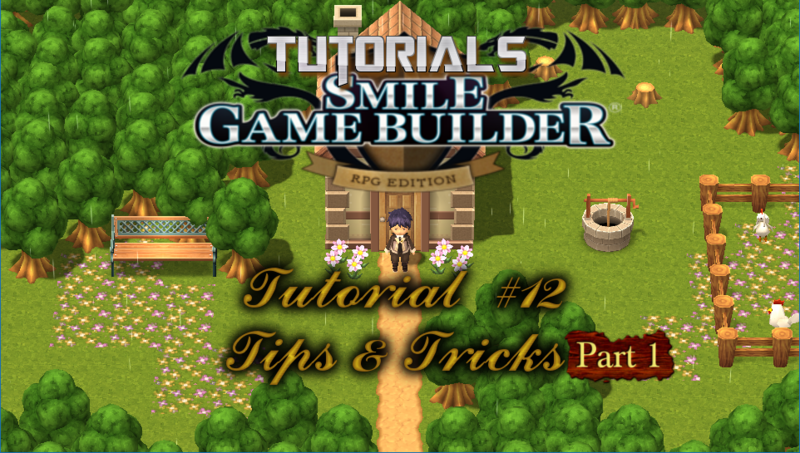 This short tutorial is dedicated to some small tweaks, tips and tricks to enhance or build your game, things that don’t really fit larger tutorials and FAQs. This will become a regular feature for tutorials, although sporadically, in the future. However, this all depends on a number of factors, such as new updates, visitors’ comments or inspiration. As time goes on I’ll discover more, so will categorize them as "tips and tricks" rather than an actual tutorial. Many of these will undoubtedly find their way into the actual tutorials as expansions or additions. Event Contact – Here, I differentiate between the event triggers "When player makes contact" and "When event makes contact". This is a source of confusion for many (including myself). Strafing – How to strafe left and right in first-person view (without having to turn each time). Cancel Image with A Key – This tip demonstrates how to display an image and cancel it by pressing a certain key. Warp Gate Choose Location – A simple technique for adding location choices to a warp gate event. Access Area at A Certain Level – A player may only access a certain area at a certain level.